EA/Manual trading of NZDUSD hence the name GoldenKiwi. NZDUSD is picked because of its historical ranging movement. This presents an opportunity to scalp the market. The EA trades based on a few indicators such as bolinger bands, Stocastic, RSI. Should conditions match for all indicators, EA will trade with interval stacking of trades. EA will be turned off before news to avoid trading whiplash movement. Hardstop at 10% of account with target return at 1-2% per month. Recommend brokers with tighter spreads and ECN..
37Leprechaun focuses on arbitrage scalping trading on EURGBP and GBPUSD only. Strategy runs on an algorithm with manual monitoring. Strategy is back & forward tested with excellent return/risk ratio. 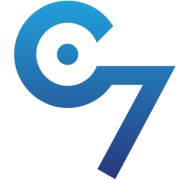 It is an in-house trading strategy created by C 7 Traders and have been back-tested for 15 years for consistency. The strategy is a combination of ideas from our in-house top proprietary traders and has been generating solid returns using Company funds since Day 1..
37Werewolf focuses on systematic trading on USDJPY only. Strategy runs on an algorithm with manual monitoring. Strategy is back & forward tested with excellent return/risk ratio. It is an in-house trading strategy created by C 7 Traders and have been back-tested for 15 years for consistency. The strategy is a combination of ideas from our in-house top proprietary traders and has been generating solid returns using Company funds since Day 1..
37Metamorphosis focuses on scalping trading on all G7 basket and AUDNZD only. Strategy runs on an algorithm with manual monitoring. Strategy is back & forward tested with excellent return/risk ratio. It is an in-house trading strategy created by C 7 Traders and have been back-tested for 15 years for consistency. The strategy is a combination of ideas from our in-house top proprietary traders and has been generating solid returns using Company funds since Day 1..
Strategy focuses on scalping trading on USDJPY only. Strategy runs on an algorithm with manual monitoring. Strategy is back & forward tested with excellent return/risk ratio. Comments By Trader: 1. Strategy is low risk with low returns per month. 2. Trades frequently on USDJPY pair. 3. Strategy is based on spotting inefficiencies in USDJPY market. 4. Avoids trading on news. 5. Prefer broker with tighter and faster execution. 6. Occasionally, strategy hits max full cycle of 10 trades concurrently during trend market. 10% hardstop in place. 7. Strategy is high risk in several cases of the year. Trading with www.c7traders.com at the moment. C 7 Traders is a leading brokerage, using an advanced social platform for simpler and smarter trading. Investors are able to copy our in-house Signal Providers for a subscription fee. Our Signal Providers are trading REAL accounts, with a minimum of 3 months duration. They are made up of investment bankers, educators and full time proprietary traders.